In India, the need for participatory planning at the local level has been wellrecognized by the Government. This has been particularly encouraged and mandated for programmes and schemes that are targeted towards benefitting the rural poor, and for addressing the socio-economic inequality that these areas suffer. Some of the significant exercises in this regard include planning under the Backward Region Grant Fund (BRGF) programme rolled out in 2007, under the aegis of the Ministry of Panchayati Raj; the Intensive Participatory Planning Exercise (IPPE) of Mahatma Gandhi National Rural Employment Guarantee Schemes started in 2014, under the Ministry of Rural Development; Saansad Adarsh Gram Yojana (SAGY) launched in 2014, also under the Ministry of Rural Development; and in 2015, the proposal of Gram Panchayat Development Plans (GPDP), as directed by the Ministry of Panchayati Raj. The merit of such planning is that it can suitably capture people’s needs and priorities, while making the process fair, inclusive and transparent. 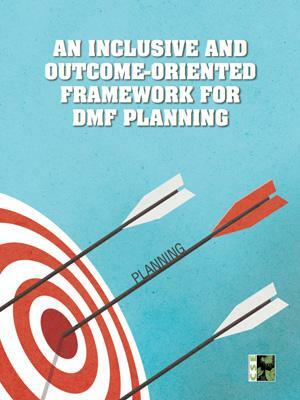 However, the intention has often been undermined due to lack of a systematic approach and appropriate engagement of people as necessary.1 Many plans as envisaged also do not get implemented properly because of inadequacy of financial resources. In this context, planning considerations under another important initiative of the Government of India (GoI), the District Mineral Foundation (DMF), and the related scheme Pradhan Mantri Khanij Kheshtra Kalyan Yojana (PMKKKY), hold much significance.